with something else. I needed a plan. 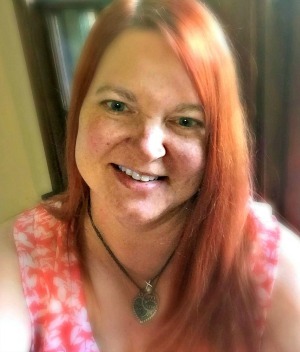 Not just any plan…………a Juggling Real Food and Real Life meal plan. I started by creating a master dinner list. I wrote down everything that I knew I could cook and that I knew my family would eat. I came up with 20 different meals. Most of them are simple meals that can be made with only a few ingredients. 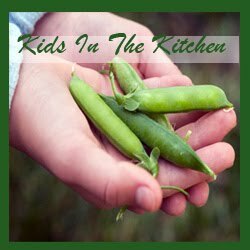 Most of these meals are recipes that my Mother taught me to make as a child. Really, they are that simple. To this list, I added some of the new crock pot recipes that I had recently discovered. The crock pot is key to having a hot meal ready when time is even shorter than usual. I think of my crock pot as my new drive-through window. I also subscribed to an online lunch menu planning service. With all of these changes, I knew I needed some help deciding what to make each day. Since I have 2 picky eaters, I took another step by writing down all of the foods that I knew each of them will eat. This has proved to be especially helpful when planning side dishes and snacks. Each week (usually Thursday or Friday ) I sit down with my meal planning calendar, my master dinner list and my list of activities for the week. The first thing I do is fill in the activities so that I can see which nights are squeezed more than others. I then go back and fill in all my lunch plans for the week, looking for variety where possible. I have developed a breakfast schedule that stays pretty much the same each week, so I write that in next. I leave the dinners for last because I usually discuss with my family what they may be in the mood to eat. I want everyone to feel like they have some input into what the family is eating. The picky ones may not like everything, but hopefully they like at least some of the meals. Dinner planning is where the real Juggling magic happens. I try to be as realistic as possible about the time that I have available. If there is no time to prepare a meal, that means it is a crock pot night. If there will be a little more time, I can prepare something a little more elaborate. I also use these less busy nights to start prep for other meals as well. As an example, last night my 15 year old had a Boy Scout meeting, but I was home for the evening. I had a crock pot meal ready to go when I got home from work, so he could eat when he got home from football and before he went to his meeting. After dinner, I had time to make some homemade whole wheat banana pancakes for the kids’ lunches and to freeze for future breakfasts. Right now, I am only planning week nights. If you are new to planning, I would suggest starting with at least planning 2 nights a week. Soon you will fall in love with planning, as I have, and plan more nights. It really is easy! As part of my meal planning process, I write out my grocery list. I compare the recipes to what I have already available and then create the list. I divide my list into sections. The meat goes into a section so I can reference this list when I go to the meat market. Produce, honey and maple syrup go into another section because I will be looking for these items at the farmers market. Bread is purchased at the bakery so I put pizza dough, sandwich bread and buns into this section. I cross off items as I go and I know that whatever is left on the list needs to be purchased at the grocery store. I find this system works better for me than using multiple lists. This way, I don’t forget anything. Remember……I’m Juggling so I don’t have time to keep going to the grocery store. I still make mistakes at times, but I love that we have significantly reduced our last minute trips to the store. Progress is good! Ok……..so start making your master dinner lists and make sure you subscribe by email at the right so you don’t miss an episode. 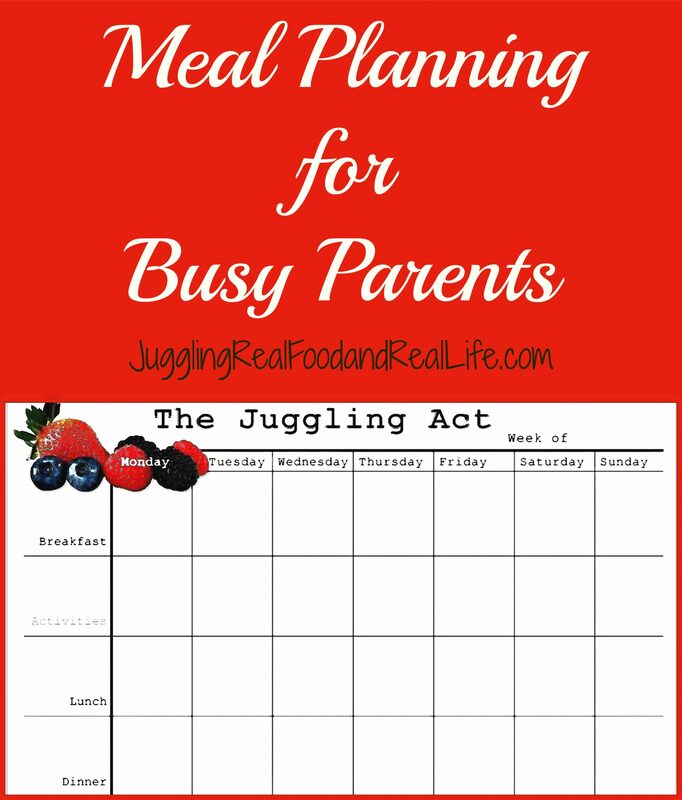 Make sure you check out the Juggling Real Food and Real Life menu planning calendar. It’s an awesome tool to really help you get organized. You can also join the conversation on Facebook and all of my other social media. Just follow the links in the buttons at the top of the page. You might also be interested in my free printable meal planning calendar. I have started using an app on my i phone called menu planner. I took a bit of set up inputting all the recipes I wanted and what I already have in my pantry but now I can menu plan anywhere. I scroll through the recipes and anything I have all the ingredients for has a check make next to it it also will generate a shopping list and keep a pantry inventory based on what you buy and make. I would always forget my list but I rarely forget my phone. I love this app. I just started doing this Christina! I’m focusing now on meal planning. We definitely have our tried and true meals which I want to consistently rotate. Meal planning is such an awesome organizational tool. It really helps me to avoid the fast-food lines when we get really busy. I look forward to hearing how your meal planning goes.